A Bexhill student has been awarded funding to train for a career working on luxury superyachts. Toby MacDonald, 19 is currently on phase one of the Superyacht Cadetship. Toby began his training in October after being selected for a coveted bursary by Seafarers UK and topped up by the Milo Hanlon Bursary. 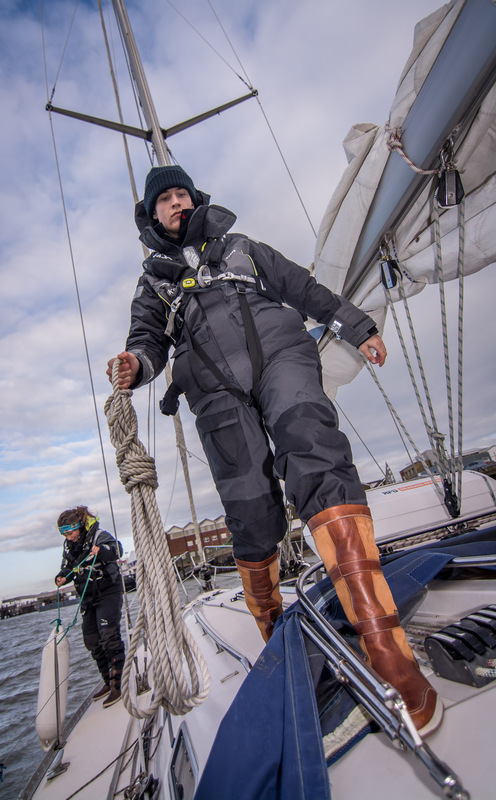 As a real alternative to university, the course combines study sessions and sea phase training at UKSA, with work as deckhands on superyachts. The course also includes a Foundation Degree in Operational Yacht Science delivered in conjunction with Falmouth Marine School and validated by the University of Plymouth. While working, students can typically earn €2,000 a month tax-free (not including tips), and while once onboard a vessel almost all their living costs are covered by the yacht too. If sensible, students can graduate debt free and sail into a lucrative career. Toby has spent many happy hours sailing with his Uncle Angus Ross Thompson and cites him as inspiration for the direction his career is now taking him in. Angus sailed around the world a few years ago and his tales of life at sea have given Toby a thirst for adventure too. As part of his cadetship, Toby will do an FdSc foundation degree in Operational Yacht Science at Falmouth Marine School. To see how you could get funding, click here.